Boost your signal! 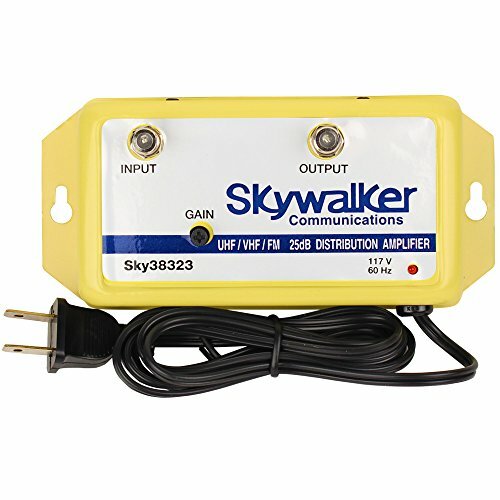 The Skywalker Distribution Amplifier is designed to help increase signal strength from your antenna to the TV. Enjoy the control of variable gain (with up to 25dB of gain) in the VHF / UHF / FM bands. This heavy-duty, metal-encased unit features low operating interference and minimal noise production. Just connect it via the standard F type connector in/out outlets. It is powered by a 120 volt AC and also features an on/off status light.